The Premier 80 x 60 Ultimate Party Tent is made of the highest quality materials and is strong enough to withstand commercial use. This canopy tent, with poles made of heavy-gauge steel, is ideal for any event. The top is made of thick laminated vinyl to give the ultimate protection from all of the elements. 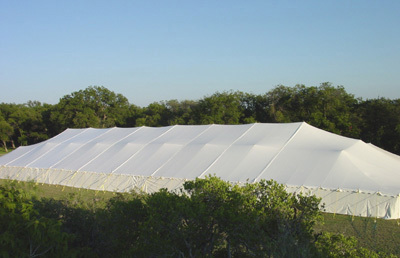 Every part of the Premier 80 x 60 Ultimate Party Tent is designed for maximum durability. This canopy tent kit even comes with an installation video to make the assembly process as easy as possible. And in case something was to damage the sturdy vinyl tent, a patch kit is included.